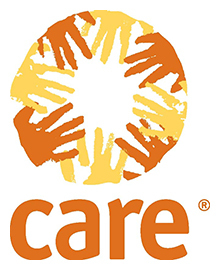 CARE Australia is looking to fill the position of Program Director in our Vanuatu Office. This position plays a key role in setting the strategic direction of the Country Office (CO), implementing the strategy and mobilising resources for CARE International in Vanuatu's long-term programs. The position also ensures the development, implementation and management of CARE International in Vanuatu’s program and projects including leading the teams responsible for program and project implementation. We are looking for someone with relevant qualifications in international development or a related field and extensive experience at a senior level in the management of humanitarian and/or development programs with an international NGO or aid agency. Your experience in program management including ability to ensure effective project implementation, reporting, compliance and budget management across multiple projects and sites will be complemented by your ability to respond effectively to challenges and strong decision making skills. Your well-developed communication skills as well as the ability to build and maintain networks and relationships will be highly regarded. Please contact Megan Chisholm, Country Director megan.chisholm@careint.org (please do not email applications to this address).